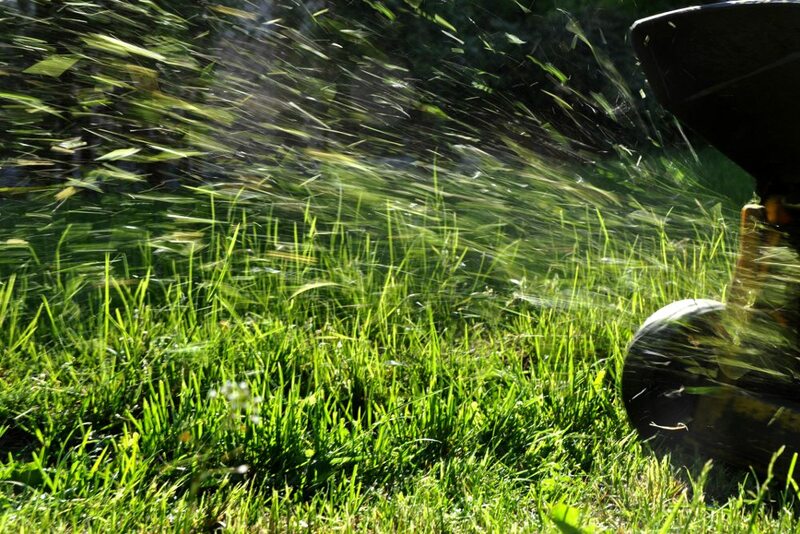 Now that you have your new lawn, it is very important for you to provide efficient lawn care. Living in areas such as Elburn, DeKalb, St. Charles, Geneva, Aurora, Naperville, Elgin and Yorkville, your lawn can go through many different seasons. Watering sod is the most critical activity after installation. The goals are to keep sod and soil moist, thereby encouraging root growth, and to keep sod cool and wet to avoid injury. Sod can take as long as 12 to 18 months to become fully adjusted to its new home. However, when installed properly, it can be used for moderate activity after 10 to 14 days. Sod is a fantastic product, but never forget that it is a living plant and requires care to remain beautiful for years to come. Start watering sod within 30 minutes of sod installation. Sod is a living plant that requires ground contact and moisture to survive. Give your new lawn at least 1 inch of water daily or more often if needed, keeping sod moist until it is firmly rooted (about 2 weeks). To measure an inch, place a coffee can on the lawn in the path of the sprinkler and water until 1 inch of water has accumulated in the can. Other methods to assure the sod is moist is to lift the corners of the sod and make sure the soil on the sod and soil under the sod are very wet (slimy). A properly watered new lawn will prevent you from walking on it without sinking in. Weather conditions will dictate the amount and frequency of watering. On very hot and windy days (80° or higher) one or two short waterings between longer irrigation periods will be useful. Water areas near buildings, driveways and sidewalks more often, where the reflected heat dries the turf. Avoid late night watering if at all possible. Early morning watering is best. After establishment, the lawn needs about one inch of water per week, either by rainfall or in combination with watering, to maintain a healthy vigorous plant. After 10 days, slowly pull on a corner of the sod. If you feel resistance or physically observe white roots penetrating into the soil, your sod needs to be mowed. Prior to mowing, allow the sod to dry out enough so that your mower does not sink in and damage your lawn. If you can walk on it without sinking, it should be safe to mow. Set your mower high (3 inches) for the first cutting. Go very slow and be careful turning on the sod. Watering daily may be necessary after the first mowing depending on the weather conditions ( hot & windy) for a few more days. After 2 weeks your sod should be established. You may now drop your mowing height to 2-2 ½ inches during spring and fall. During the heat of summer, it is good to raise your mower height to 2-½-3 inches to allow more leaf area. Your sod has been delivered to you with ample nutrient to get it started. If a starter fertilizer was applied with the sod installation, wait 4 to 6 weeks before applying more fertilizer. A s a rule of thumb, apply no more than 1 pound of actual nitrogen per 1000 square feet at one application. To maintain a healthy and green lawn, fertilizer applications can take place every 4 to 6 weeks during the growing season. Always water your lawn within 48 hours of a fertilizer application, especially during the hot spells of summer to avoid burning the lawn. A member of our team at Dunteman Turf Farms will be standing by to answer any questions regarding lawn care services. We look forward to speaking with you soon. Call us at 630-557-2900 or reach out to our team via our web form. Dunteman Turf Farms provides many lawn care tips for clients in Elburn, DeKalb, St. Charles, Geneva, Aurora, Naperville, Elgin and Yorkville, IL.